Industry Updates -OCTOBER 2018 -Tsar Events Russia DMC & PCO presents YouTube Vlog "RUSSIA SURVIVAL GUIDE with Maya Krivchenia"
Tsar Events Russia DMC & PCO presents YouTube Vlog "RUSSIA SURVIVAL GUIDE with Maya Krivchenia"
Tsar Events Panama DMC & PCO will be at IBTM World at stand K47 together with other members of Global DMC Alliance. A NEW LOW-COST AIRLINE was launched in Panama on Thursday October 20 by Copa Holdings which owns Copa Airlines. We started our own Vlog on YouTube: Tsar Events' RUSSIA SURVIVAL GUIDE. Please, check it here. Now you can follow us in YouTube and get destinations insights from DMC professionals. We are the first Russian DMC who started YouTube Vlog devoted to Russia and it’s traditions. Vlog will tell about museums, venues, restaurants and dos and don’ts while you are planning your event or visiting Russia! We made it together with famous opera singer from USA Maya Krivchenia who lives and works in Russia for more than 10 years. We’ll download videos with different theme every week. Don’t miss them and sign up to our Youtube channel here. And of course we will be happy to help you with any requests for Russia, Ukraine, Belarus or Baltic states. Just let us know. If you need asistance with museum visit or accommodation booking, planning your special event, cultural or incentive program, conference and congress in Moscow or St. Peterbsurg, please, contact team of Tsar Events Destination Management Company & Professional Congress Organizer that provide all MICE services in all Russian cities. Why TSAR EVENTS DMC & PCO? 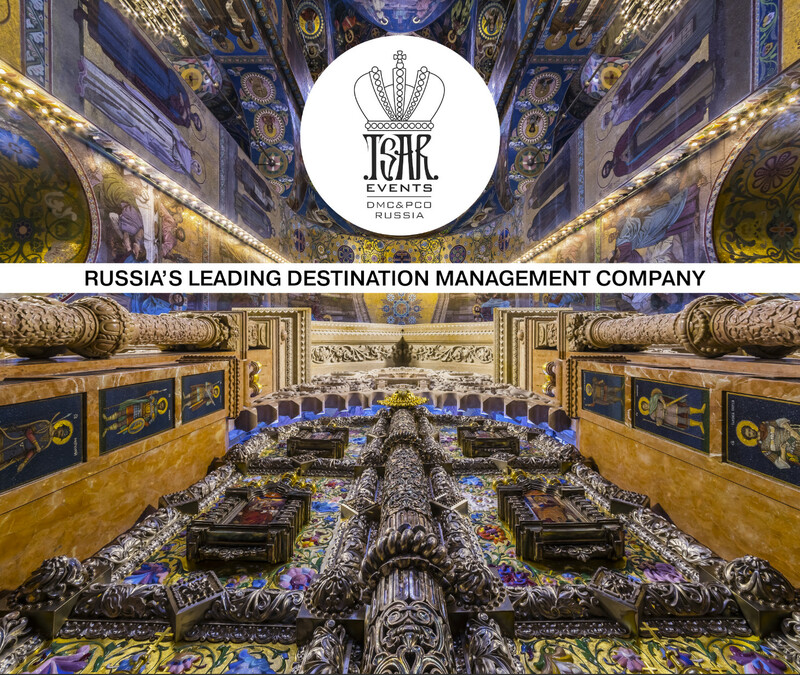 Tsar Events DMC & PCO has become first DMC who wrote book-instruction for tourists and professional travel planners who are going to Russia! From »concept to reality», our services & events are designed to meet the creative, motivational and budgetary needs of the professional meeting planner or executive. We work with you from concept and design through successful program execution. Tsar Events DMC & PCO has become first DMC who wrote book-instruction for tourists and professional travel planners who are going to Russia! New book offers a mesmerizing slice of life in Russia. Alexander Rodionov & Maya Krivchenia shares an informative and enjoyable guide to enjoying the historical and cultural wealth of the world’s largest country. The cradle of Russian Literature, Art and Education. Want to hear 1000 more ideas? Get in contact with Tsar Events DMC. Made in Creative Agency "Black Hen"